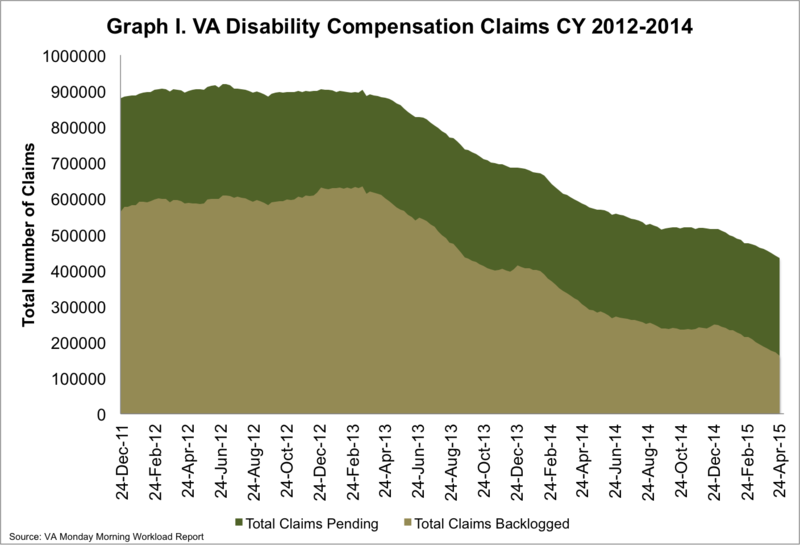 On Monday, the VA reported that the disability compensation claims backlog decreased by almost 9,500 claims, while the total number of pending claims decreased by more than 6,400. However, there are still more than 161,000 veterans in the backlog, meaning they have been waiting more than 125 days for a VA claim decision. 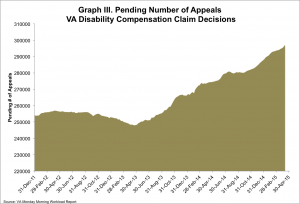 Overall, there are more than 434,000 veterans with pending VA claims. To eliminate the VA backlog by the end of FY 2015, the VA must reduce the number of backlogged claims by about 3,800 per week. 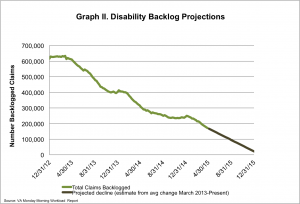 Since March of 2013, the backlog has been reduced by more than 74%, with about 4,200 claims processed weekly. Unfortunately the number of appeals continues to rise. Currently, almost 300,000 veterans have appeals pending. Waiting on an appeal decision can be an even more lengthy process for veterans than the initial claim decision. In IAVA’s 2014 Member Survey, about 25 percent of respondents who had filed an appeal waited more than a year for a final decision. Almost 40 percent were still waiting on a decision at the time of the survey. This week, we encourage IAVA members to make their voices heard by completing the IAVA 2015 Member Survey. In 2013, IAVA launched the Campaign to End the VA Backlog because our members told us, through our Member Survey, that this was an important issue in our community. The VA backlog is down from over 600,000 claims in 2013 to less than 200,000 claims now, and we are still pushing to get the backlog to zero. Take the survey and weigh in on the issues that are most important to you and our community this year. If you are an IAVA member, you should have received a link to the survey in your email, but if not, please send an email to research@iava.org. 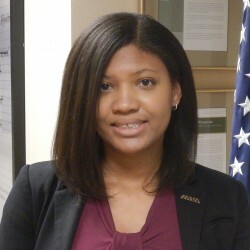 If you are not yet an IAVA member, click here to join.